Unlike other glass doors on the market we use quality Pilkington glass* (Not Chinchilla). We also use quality hardware and fittings sourced from Italy (Renowned within the glass trade as specialists in Hardware). We do not use chinese or turkish glass. We do not use cheap shower fittings like other companies. Interior Glass Doors as showcased on Channel 4's Property Ladder. 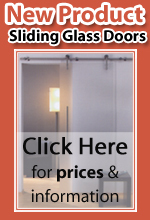 Interior Glass Doors as seen on BBC's DIY SOS. interior office doors interior doors in the uk interior doors windows, replacing interior doors. Wholesale interior doors interior doors mirriors - interior doors suppliers uk interior doors full light interior doors discount.